What The Hell is OFWGKTA? An Artist Profile on Odd Future. The past few years have proved to be quite a large change in the rap world, spawning the rise of new rappers like: Wiz Khalifa, Mac Miller, and Tyga. In Los Angeles, California another group has taken the public eye with both shock, and awe. 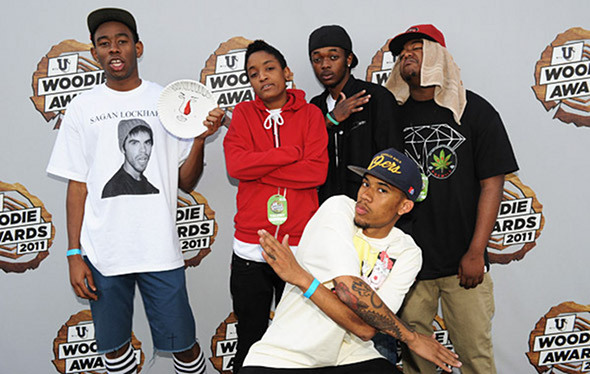 The group is called Odd Future Wolf Gang Kill Them All, also known as OFWGKTA, or simply Odd Future. I had personally never heard about the group until their lead rapper and producer Tyler, the Creator won best new artist at the VMAs. He got this honor after the huge successes of his album ‘Goblin’, featuring his most popular songs including ‘Yonkers’, ‘Sandwiches’ and ‘She’. Immediately I listened to the group and found it to be the most bizarre and, unique style of rap I have ever heard. Odd Future is made up of nine members. The leader of the group, Tyler, is the lead rapper and producer for the group as well as the side projects that go along with them. Along with Tyler, the group’s rappers include Hodgy Beats, Earl Sweatshirt, Domo Genesis, and Mike G. R&B singer Frank Ocean sings for the group along with their DJ, Syd the Kid. Odd Future has raised many critical eyebrows over extremely controversial and risky themes and lyrics, as well as for living in the fast lane, doing what they want when they want to. The group raps on controversial topics including violence, their gang, and explicit sexual themes. This past Wednesday, Odd Future played at the House of Blues Boston where the show was shut down due to illegal firearm possession, as well as one of the members attempting to stage dive off the second floor standing area of the venue. The venue was forced to cut the lights as well as the sound from the microphones. Their new album was released this past Tuesday, March, 20th and titled ‘The OF Tape, Vol. 2’ featuring their first single ‘Rella’. The Music video for the track gives listeners a different appreciation for the uniqueness of the group, which can be seen through the insanity. 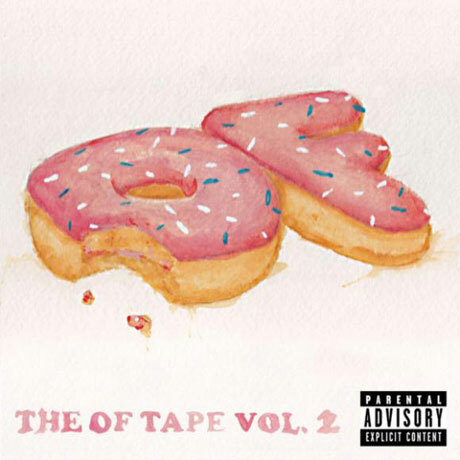 Though I do not agree with all of what the group stands for, they show the ingenuity of what it takes to separate OFWGKTA from the rest of the pack.